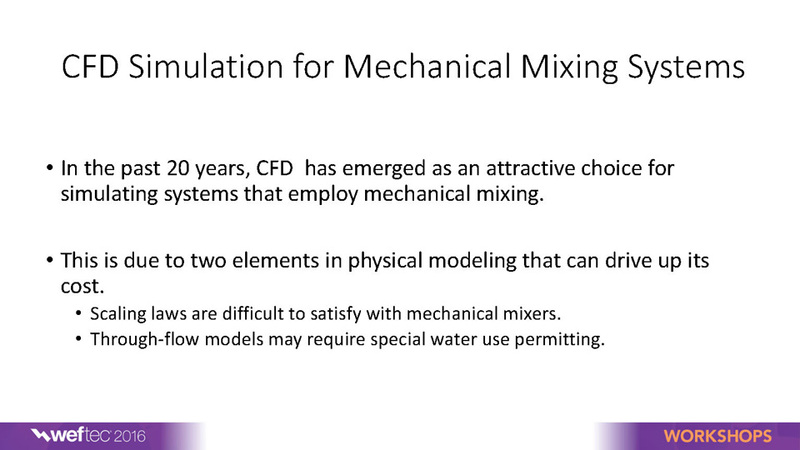 CFD modeling has developed into a potent tool for evaluating mixing and blending applications. 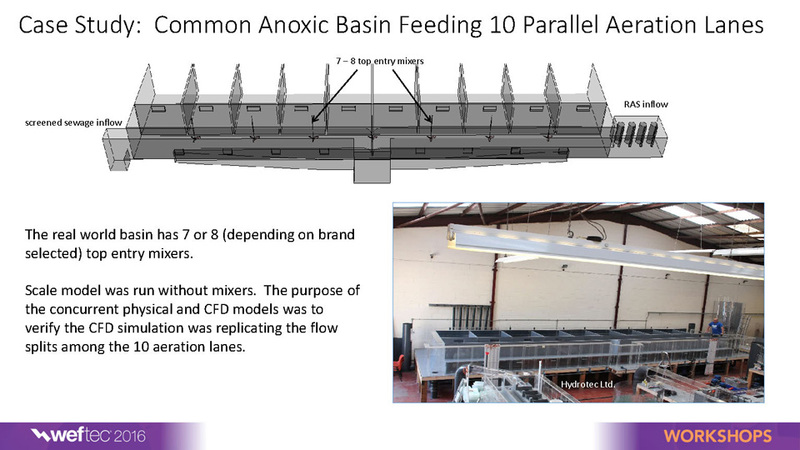 In the water and waste water industries, “mixing” typically refers to the act of setting up a bulk flow in a single fluid occupying a tank or basin. 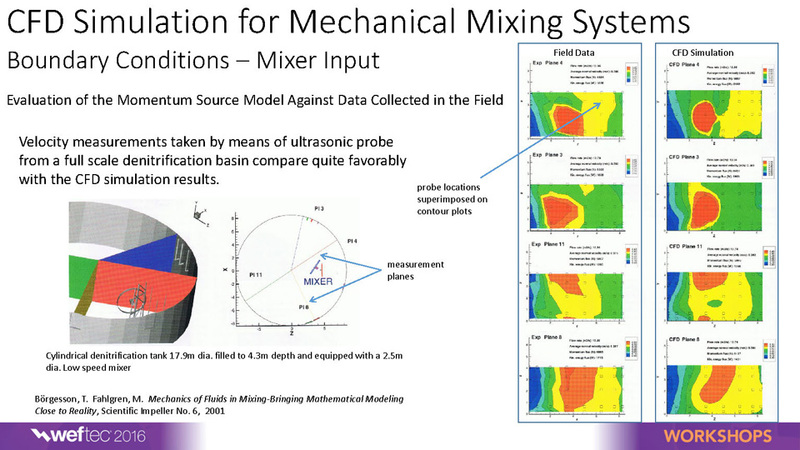 Equipment suppliers may include an installation specific CFD mixer analysis with their proposals (see the testimonials) to document the efficacy of their machines to the buyer. 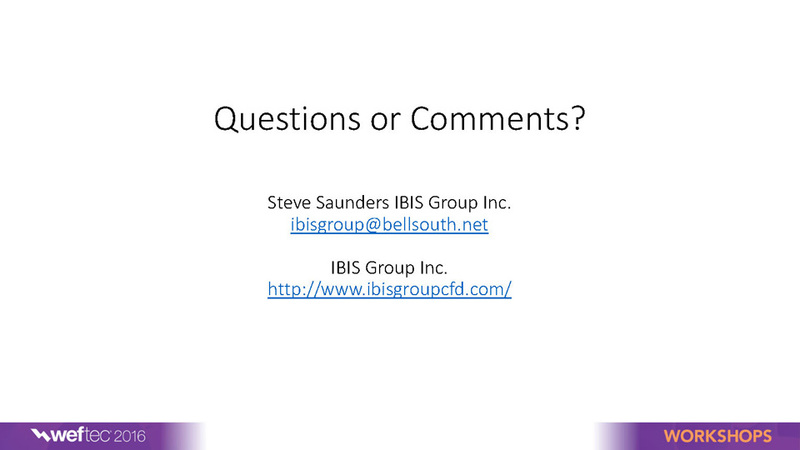 To that end, Ibis group has extensive experience modeling submersible, ejector pump, and top entry type mixers. 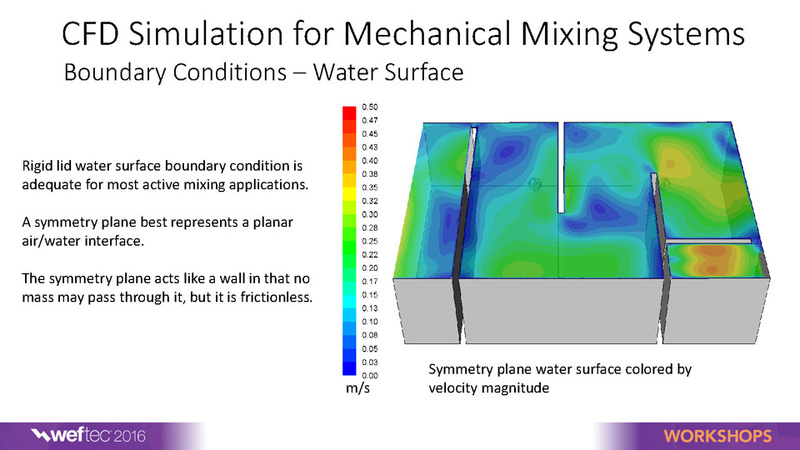 Basic mixer models are steady state providing time averaged results and have a “rigid lid” or “inviscid wall” representing the water surface. 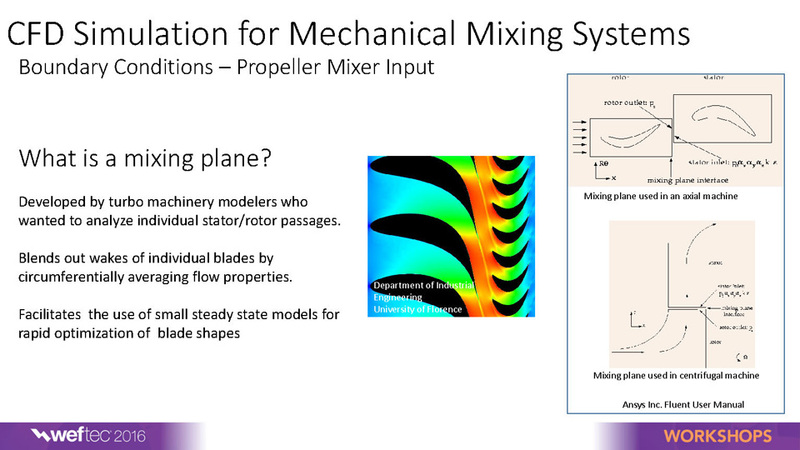 In these types of models, the rotating elements of the mixers are not represented as such. 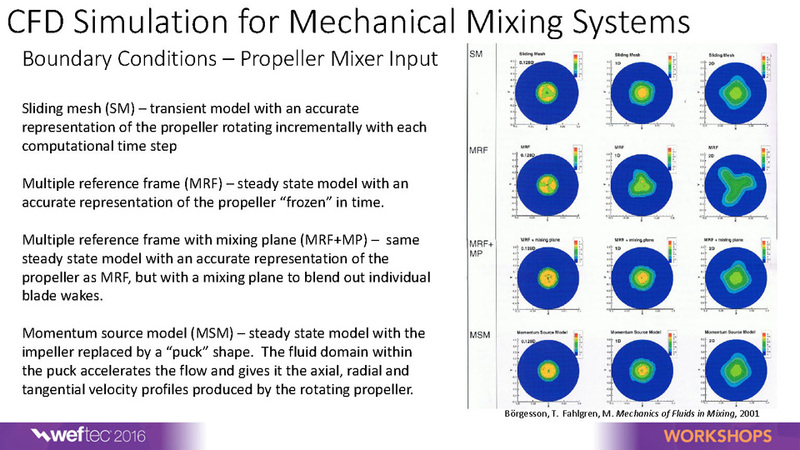 Instead they are represented with momentum sources with velocity profiles and swirl components. 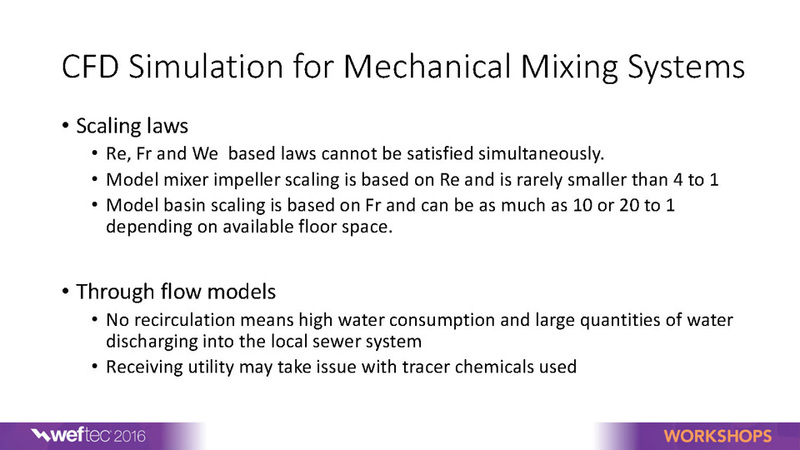 These types of models are appropriate for evaluating off-bottom particle suspension, indicating if bulk velocity guarantees are being met and mitigating short circuiting in cases where there are inflows/outflows. 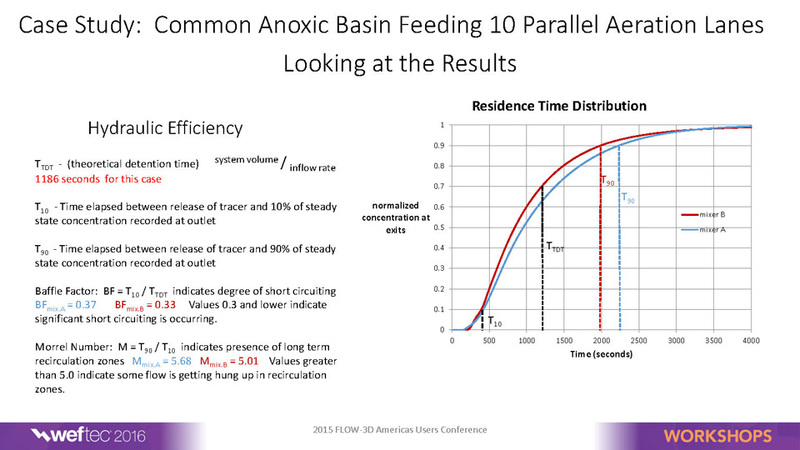 More advanced models can be time dependent for evaluating residence time and plug flow requirements. 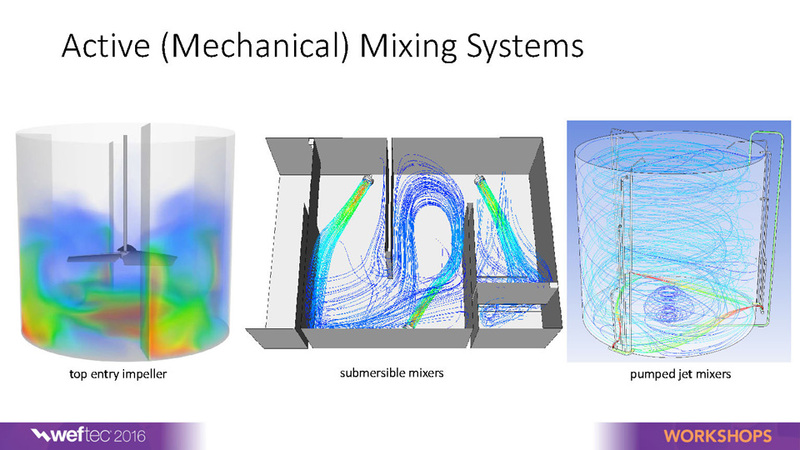 We also have experience with modeling actual rotating mixer elements, non-Newtonian fluids and multi phase models simulating aeration. 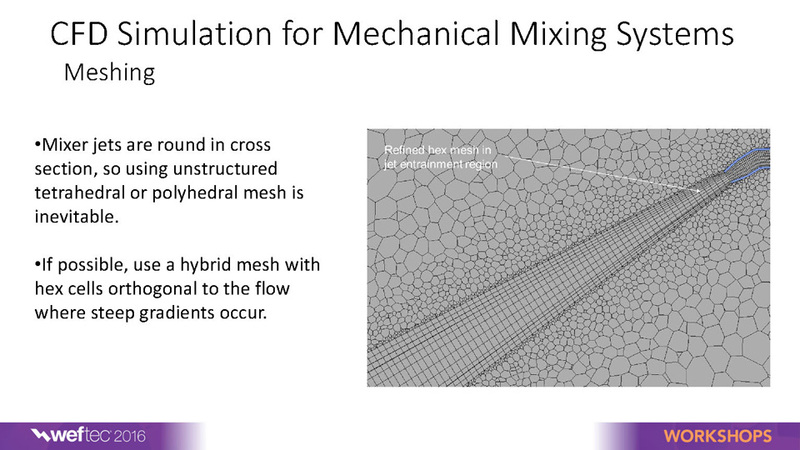 The term “blending” typically refers to the combining of two or more fluid constituents. 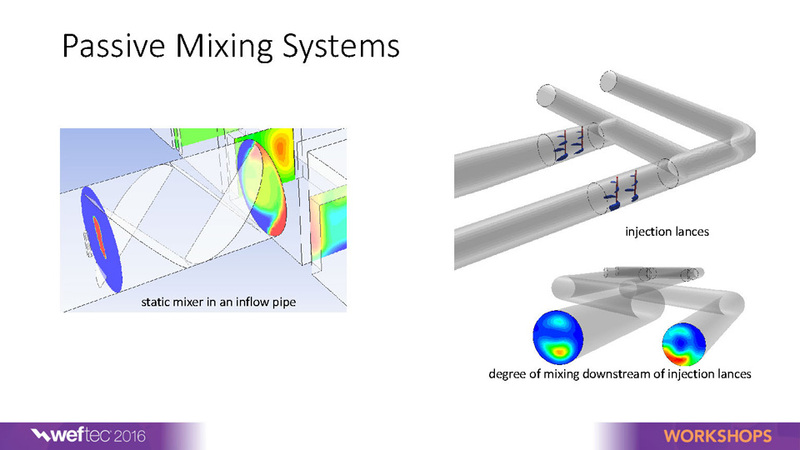 CFD modeling has the edge over physical modeling in many blending applications because most blending models are through-flow. 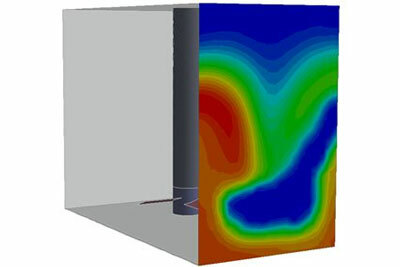 A typical physical model will be circulatory. 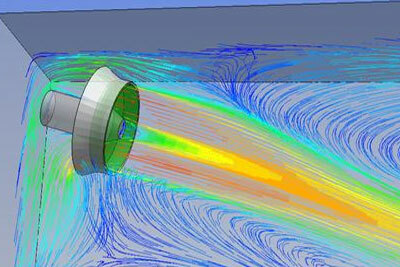 That is, water discharged from the model is pumped back to its inlets. Through-flow, on the other hand, means that the water exiting the model cannot be re-used and therefore cannot be fed back to the inflow. 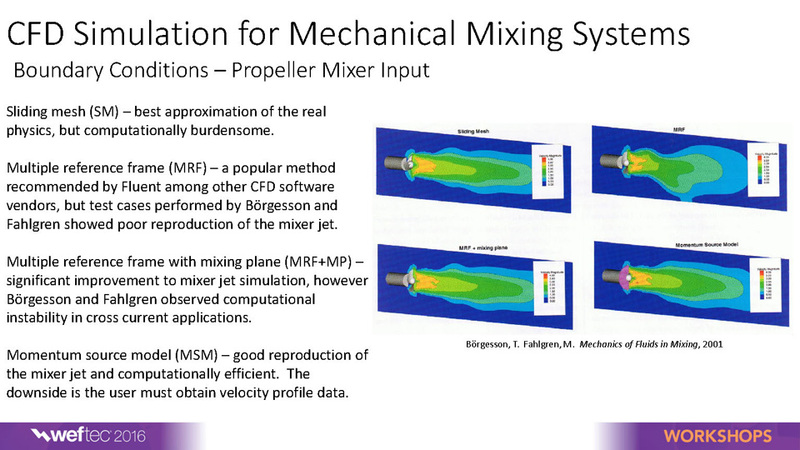 This turns into an expensive proposition for the physical modeler. 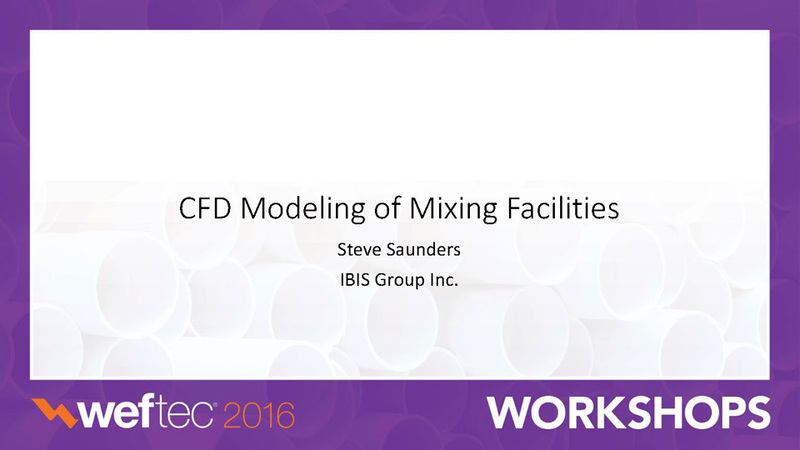 Consequently, our colleagues at Hydrotec come to us at Ibis Group for much of their blending model projects. 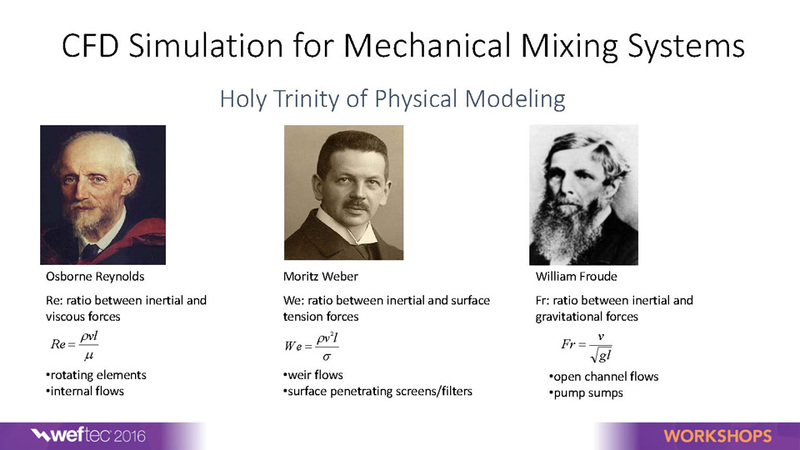 Blending models can be either steady state or time dependent. 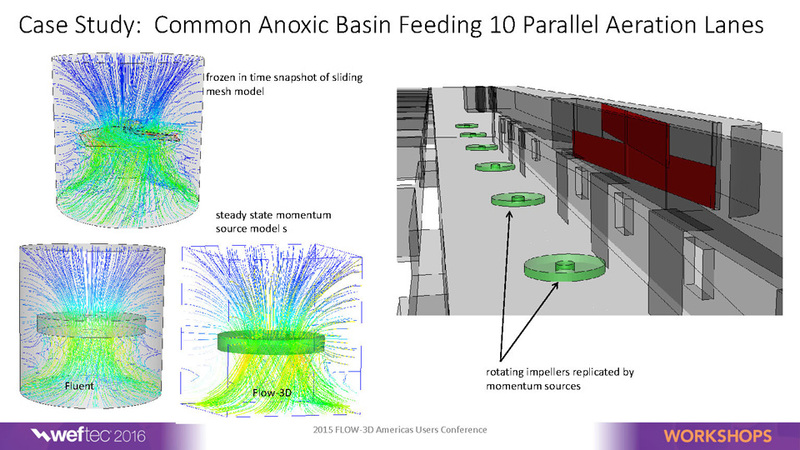 The steady state models will have constant inflows balanced with constant outflows. 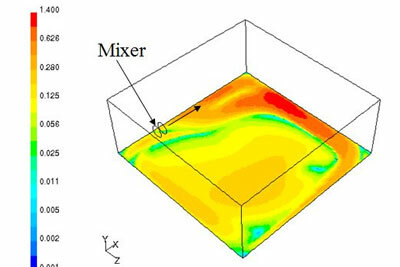 Species models in the CFD code track the blending and diffusion of the inflowing constituents. Time dependent models may have a new species introduced over a specified time interval. 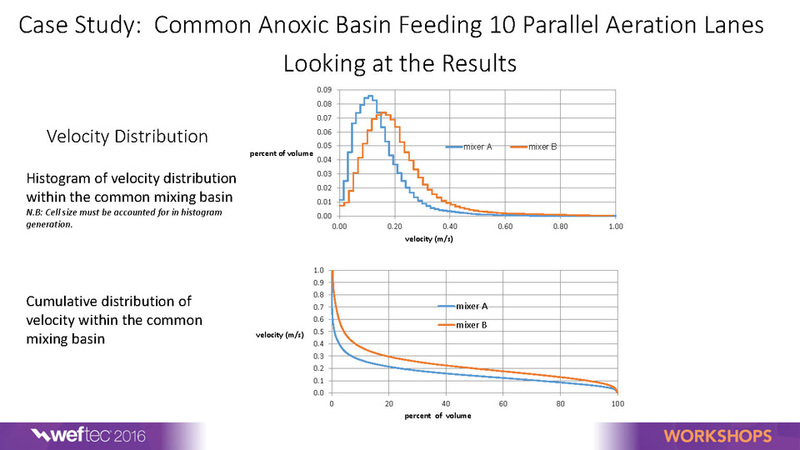 An example from the water industry would be a dose of NaOCl introduced to a water tank. 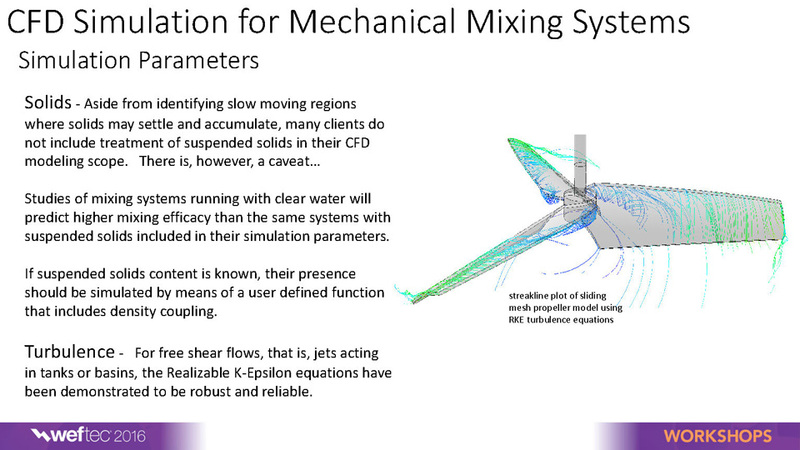 At Ibis Group we can run a simulation that will document contact time and concentration in such a model. 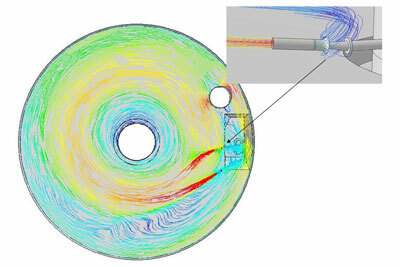 A CFD model provides a database for the flow activity within the volume being studied. 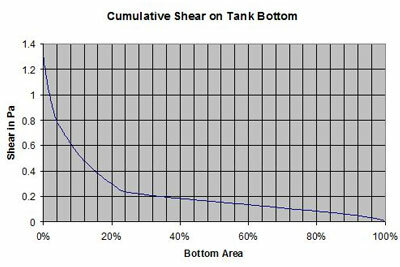 Here, in the interest of off-bottom solid suspensioning, both qualitative and statistical representations of bottom shear are shown. 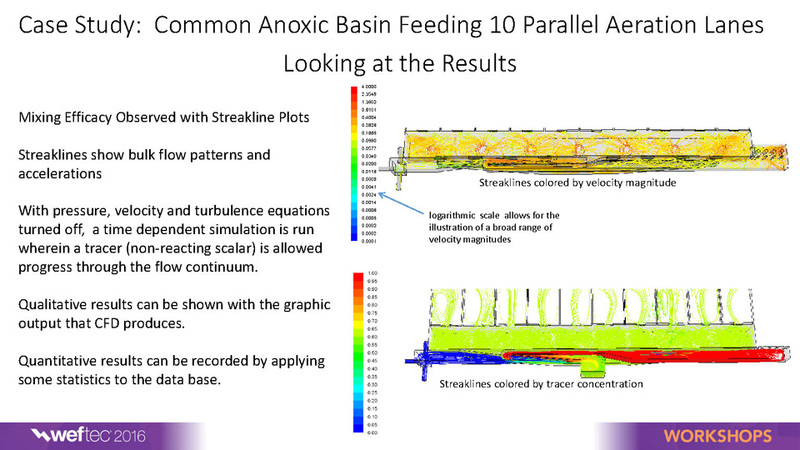 Water from two different sources blending at a distribution facility- the streaklines are colored by concentration. Water from one source is colored red while water from the other source is blue. 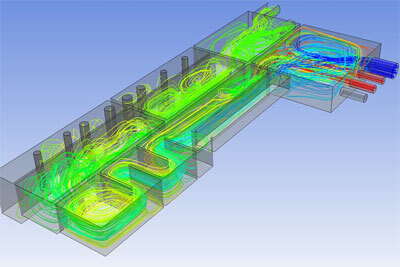 As the fluids blend, the streakline color progresses to green.